President Kennedy announced Wednesday he has been selected as the sole finalist for president of the University of Colorado System. Photo by Shawna Schill/UND Today. University of North Dakota President Mark R. Kennedy announced on Wednesday that he has been chosen as a finalist to be the next president of the four-campus University of Colorado System, and that he and First Lady Debbie Kennedy would be departing UND in June, after the conclusion of the 2018-19 academic year. His official departure date from UND could be as early as June 15. On Wednesday, the CU regents unanimously voted to name Kennedy as its sole finalist to be the 21st president of the Colorado flagship, succeeding current leader Bruce D. Benson. “Mark Kennedy is a proven leader with a diverse set of skills and experiences in higher education, government and business that will allow him to build on the considerable success CU has experienced in recent years and take the university to even greater heights,” stated Sue Sharkey, chair of the CU Board of Regents, said in a prepared statement, on Wednesday. CU serves 67,000 students (and has another 8,000 students taking courses for credit), has 35,000 employees, conducts more than $1 billion in research yearly, and operates an annual budget of $4.5 billion over four campuses: CU Boulder, CU Colorado Springs, CU Denver and CU Anschutz Medical Campus in Aurora. CU is a member of the Association of American Universities, and its athletics teams, known as the “Buffaloes,” compete in the PAC-12 sports conference. The Kennedys plan to visit the CU campuses later this month, at which time, the regents are expected to make a formal appointment. Kennedy, who has been at UND for three years, said that he is excited for the new opportunity but that he will continue to be devoted to his role in leading UND through the academic year. Kennedy went on to detail a number of points of pride resulting from the strategic plan, including a 10-percentage-point improvement in UND’s four-year graduation rate, a big jump in research expenditures, hundreds of millions of new investments in campus renewal efforts and the fact that UND was named with Harvard, Stanford and MIT as one of the nation’s 25 most innovative universities by U.S. News & World Report. “My encouragement to the State Board of Higher Education (SBHE), who has always been highly supportive of UND, would be to pick interim leadership and a future replacement committed to continuing to elevate UND’s stature as the region’s premier flagship,” Kennedy’s letter continued. 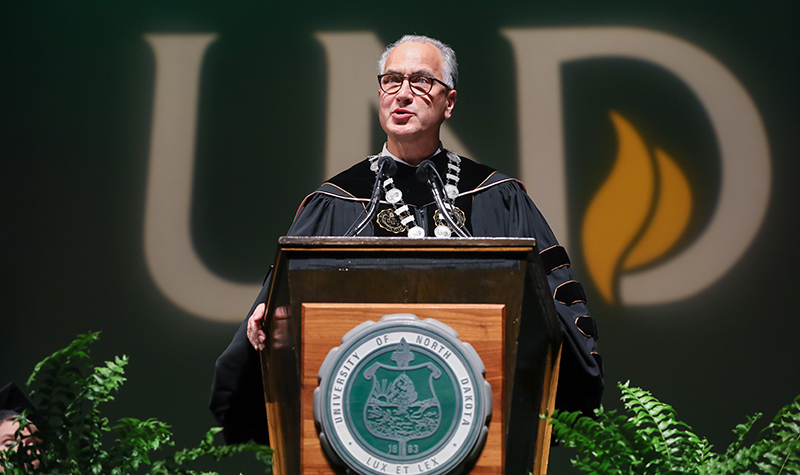 Both the chairman of the State Board of Higher Education and chancellor of the North Dakota University System recognized President Kennedy for his strategic groundwork, saying he’s enhanced the quality of the University during historically challenging times. Photo by Shawna Schill/UND Today. Don Morton, chairman of the SBHE, noted his appreciation for the strategic groundwork that Kennedy has been able to provide in his time at UND. “I want to express congratulations and best wishes to President Kennedy and Debbie as they begin their new journey. President Kennedy and his leadership team have established a strategic foundation for accelerated success over the long term at the University of North Dakota. I fully appreciate the difficult decisions that had to be made in addressing recent major budget cuts. North Dakota University System Chancellor Mark Hagerott also congratulated the Kennedys on their exciting new chapter at the University of Colorado. Kennedy said he and Debbie look forward to keeping in close contact with the many friends they have made at UND and across North Dakota. He also would like to return to UND, on occasion, to witness its continued progress. President Kennedy and First Lady Debbie Kennedy came to UND three years ago from George Washington University, Washington, D.C., where he was director of the Graduate School of Political Management and a professor. From 2001 to 2007, Kennedy represented Minnesota’s Second and Sixth Districts in the U.S. House of Representatives. Photo by Shawna Schill/UND Today. Kennedy was named the 12th president of the University of North Dakota by the State Board of Higher Education on March 15, 2016. His term began on July 1, 2016, succeeding Interim President Ed Schafer and President Robert Kelley, who retired on January 14, 2016. 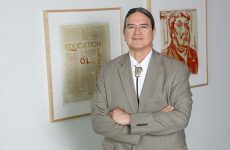 Kennedy came to UND from George Washington University, Washington, D.C., where since 2012 he was director of the Graduate School of Political Management and professor. His teaching and research addressed issues of how organizations can engage governments and societies around the world. Born in Benson and raised in Murdock and Pequot Lakes, Minn., Kennedy earned his Bachelor’s degree at St. John’s University in Collegeville, Minn., and a Masters of Business Administration with distinction at the University of Michigan Ross School of Business. He then served as an executive with several firms, including Pillsbury and Macy’s. From 2001 to 2007, Kennedy served in the U.S. House of Representatives, first for Minnesota’s Second District and then for its Sixth District. While in Congress, he sat on the Agriculture, Financial Services, and Transportation Committees, and established a reputation for bipartisanship. Kennedy was then appointed to the Advisory Committee on Trade Policy and Negotiations, serving under both Presidents George Bush and Barack Obama. After Congress, Kennedy served as the Global Retail Business Development Lead for Accenture, a global management consulting and technology firm. He also lectured and led research projects at the University of Pennsylvania, Notre Dame, the London Business School and others, and served as an Executive in Residence at the Johns Hopkins University Carey Business School. Kennedy is the founder of the Economic Club of Minnesota and a member of the Council on Foreign Relations. He founded the Mark Kennedy Frontiers of Freedom Lecture Series at St. John’s University, and authored Shapeholders: Business Success in the Age of Activism, published by Columbia University Press. 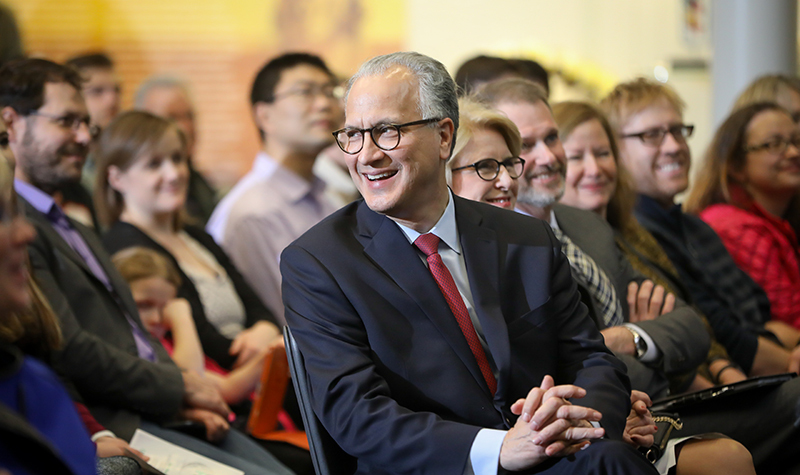 Kennedy’s time at UND, so far, has been marked by rapid change and guided by a new all-encompassing vision for the University – the “One UND” Strategic Plan. Across the board, the strategic plan has served as a road map to strengthen the University and solidify its position as the state’s chief opportunity engine and the region’s premier Flagship University. 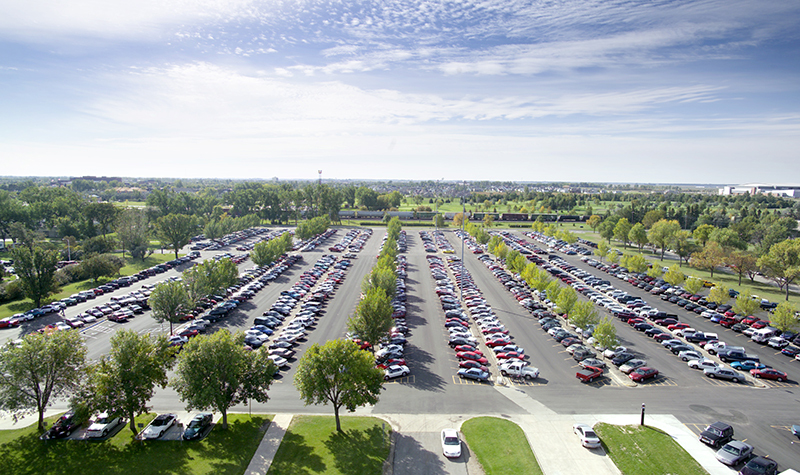 Kennedy worked with more than 900 stakeholders from across campus and beyond to develop and implement the One UND plan. He did this against a backdrop of significant budget cuts mandated on all state agencies to deal with a significant slow-up in North Dakota’s economy. The Grand Forks Herald lauded Kennedy’s leadership in advancing the plan by naming him its 2017 Person of the Year. Kennedy is the third generation of his family to live in North Dakota. His grandmother helped homestead outside Tioga in the early 1900s, and his parents lived in Golva and Hunter, during which time his older sister was born in Fargo. Kennedy and First Lady Debbie Kennedy, a native of Hawley, Minn., have four adult children.